Installer Note: Rostra cruise control products purchased through eBay, Amazon, or Walmart are not eligible for technical support. Cruise control products must be purchased through an authorized distributor to receive technical support. Our Technician Identification Number (TIN) sign-up form recently moved. 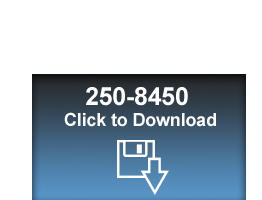 Please click here to access it and receive your TIN for technical support. This update dated 06/02/17 will correct a black screen condition seen by some users. This update is only for use on vehicles with SYNC3 Official Versions 1.0 - 2.1 released for that specific vehicle. Use of updates from forums or other sources may not work as they are not specifically for your vehicle. Rostra can not guarantee proper operation of our camera interface system with non-official releases of SYNC3 software. This update will NOT work with systems running SYNC3 V2.2 or above. Rostra is currently working on a applicable system for vehicles with SYNC3 2.2. Current 250-8452 systems are not compatible with systems running Android Auto or CarPlay. In the interface menu select System Settings, then select Update System. 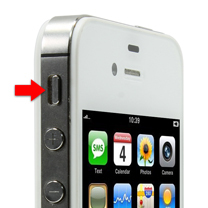 Allow the update to run until finished and remove the USB drive when instructed to on the screen. Allow the system to reboot. This update adds the ability to select Blind Spot Cameras when moving as well as addresses a bug when the rear camera power was wired incorrectly. Download the appropriate update for the unit (see below), make sure they use the correct one for the correct model. After downloading the update, unzip the update and then copy it to a blank USB drive. Place the USB drive into the interface USB port on the module cable that came with it. Select System in the Interface menu on the car radio screen. Let the update run and when done it will tell them to remove the USB stick, and then the system will re-boot. If you see a message saying "Update file not found" or "Update not found" make sure the files were copied to the usb root directory and not in a directory on the USB. Please select your vehicle's year, make, and model below. What are my options for acquiring cruise installation information? Located below this FAQ section, you will find installation manuals for each product Rostra manufacturers including aftermarket cruise controls, Magna/RearSight® backup camera systems, BackZone Plus ultrasonic parking assist systems, ComfortHeat seat heaters, and ComfortSeat automotive lumbar support. 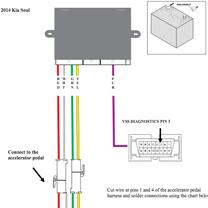 To acquire both vehicle speed signal (VSS), brake wire, and tachometer wiring colors and locations, please use our VSS Search above. If you do not see your vehicle listed, please download Rostra forms Form #4428 (for vehicles built between 1996 and 2009) or Form #4429 (for vehicles built between 1986 and 1995). Does a Rostra cruise control kit come with everything I need for an installation? The majority of Rostra-manufactured cruise controls systems are sold as complete kits. 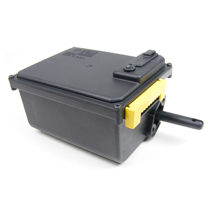 As well, Rostra manufactures universal cruise control units that often require the purchase of additional items to function with certain vehicles including vehicle speed signal (VSS) generators and control switches. To get a listing of exactly what parts will be necessary for your vehicle, please use the Vehicle Search menu at the top of the page or download our Cruise Control Quick Reference Guide. If you have questions about a customized cruise kit or other vehicle applications, feel free to call our Customer Service department at (800) 782-3379. Where is the LED on a Rostra Global Cruise unit? The LED is a surface-mount light on the circuit board to the left of switch number ONE of the programming switches. Where are the programming switches on a Rostra Global Cruise unit? Gain is how the cruise control reacts to both road conditions and engine size. Always start at the factory setting which is Mid-Gain. If the vehicle surges while the cruise is engaged, you will need to adjust the gain setting. 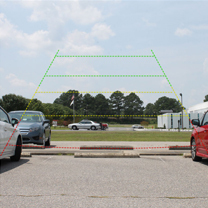 A fast surge, when the vehicle speeds up rapdily above the cruising speed, requires the gain to be lowered. Set the gain to Low or Extra-Low if needed. A slow surge, where the vehicle slows well below the cruising speed, requires the gain to be raised to High. Engine/Setup Timer is how fast the cruise control retracts the cable once the cruise is set. Always start at Low. If the vehicle drops below the set cruising speed but then recovers, set to Medium. Set to High or Extra-High if still not acceptable. Will a steering wheel-mounted switch work on my vehicle? RF steering wheel-mounted switches can be installed on several vehicles, but are not recommended for every vehicle. 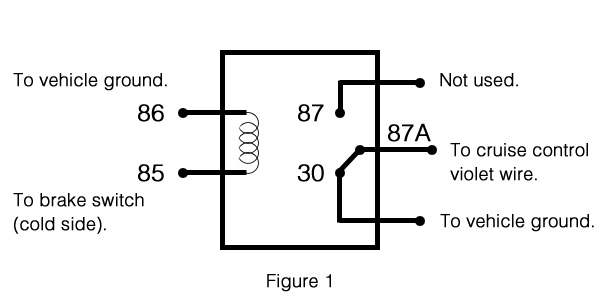 To find out if your vehicle has an RF switch available, check out our application guide. What if my vehicle is not listed? Have no fear! Just because your vehicle is not listed in our application guide doesn't necessarily mean we don't offer a cruise control kit for it. Call our customer service department at (800) 782-3379 for specific application questions. 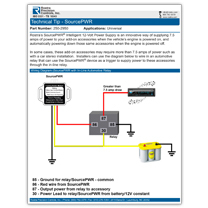 Click here to download a PDF version of this relay wiring diagram. All settings are based on 1/8-inch slack in cruise control cable. More slack will cause the cruise control to surge or lose speed once set. 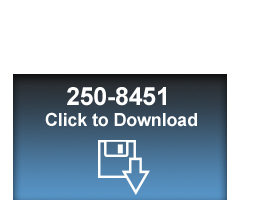 The below manuals are available for download for aftermarket cruise control systems that are no longer in production from Rostra. Rostra no longer provides technical support for these model cruise control units. Rostra's SoftTouch Navigation Systems are OEM components. As such, instructions for operating these systems are included in the vehicle's owner's manuals provided with the vehicle at the time of purchase. General installation instructions are available by clicking here. For general product inquiries, or to find a distributor in your area, please use the form on our Contact page. For technical assistance with automotive accessories via e-mail, please fill our the form below and one of our experienced technical service representatives will contact you soon. For assistance with vehicle application information, please call us toll-free at 1-800-782-3379. Please provide a description of your problem below. The Trademark BlackBerry is owned by Research In Motion Limited and is registered in the United States and may be pending or registered in other countries.